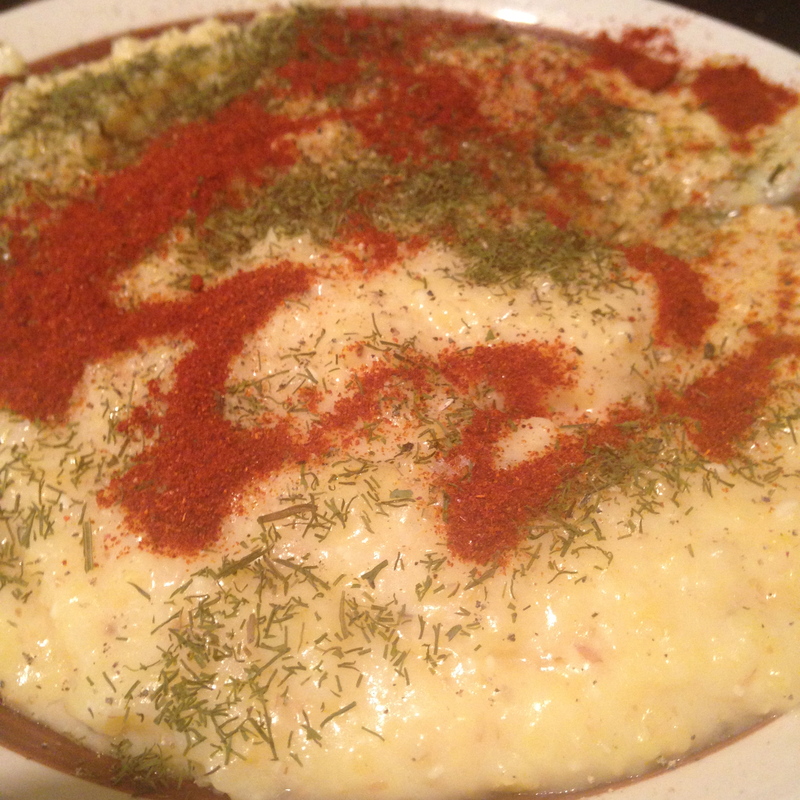 Piedmont form of maize (corn) meal porridge. It is made simply of maize flour dried in the open and not in the oven. 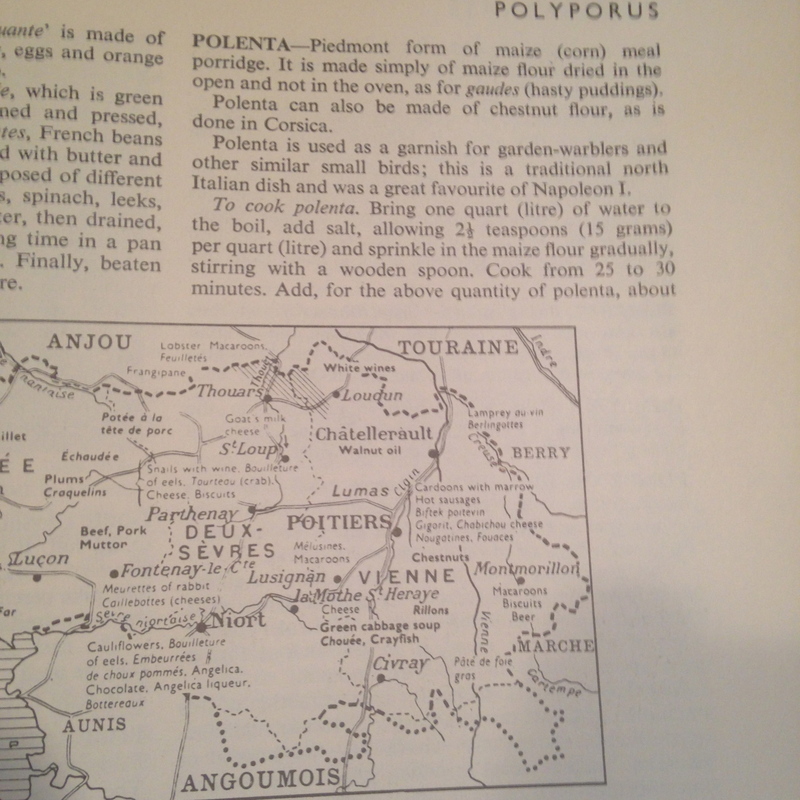 Polenta can also be made of chestnut flour, as is done in Corsica. Polenta is used as a garnish for garden-warblers and other similar small birds; this is a traditional north Italian dish and was a great favorite of Napoléon I. The dining routine at the beginning of the nineteenth century consisted of only two meals a day. The first of these, the déjeuner, was resting under silver covers on a small table in the antechamber at 9:30, waiting for the Emperor to give notice of his readiness to eat. The audiences often delayed its serving an hour or more, during which time, in spite of the best efforts of the servants, it often grew cold and stale. Napoleon’s attitude toward food was simple. “If you want to eat well,” he would tell people, “dine with the Second Consul; if you want to eat a lot, visit the Third Consul; if you want to eat quickly, dine with me.” The table was carried into the salon and the meal served under the auspices of the maître d’hôtel. The menu was simple and allowed the maître d’hôtel little chance to display his artistry. A soup, a choice of several main courses, two side dishes, rolls, and coffee, were washed down with a bottle of chambertin. 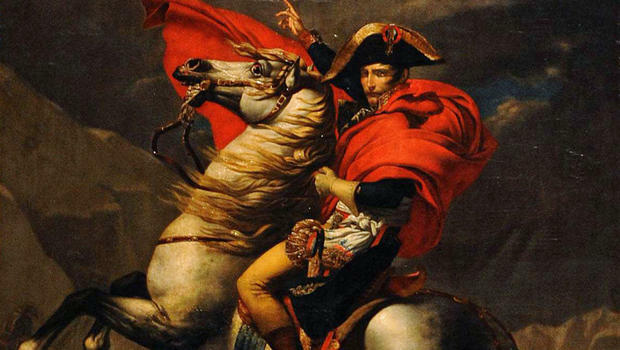 Napoleon was not a fussy eater, but expressed a preference for plain roast or sautéed chicken, à l’italienne or à la marengo, fried foods and pastries. He was particularly fond of pasta with parmesan cheese. His meat was always well done. 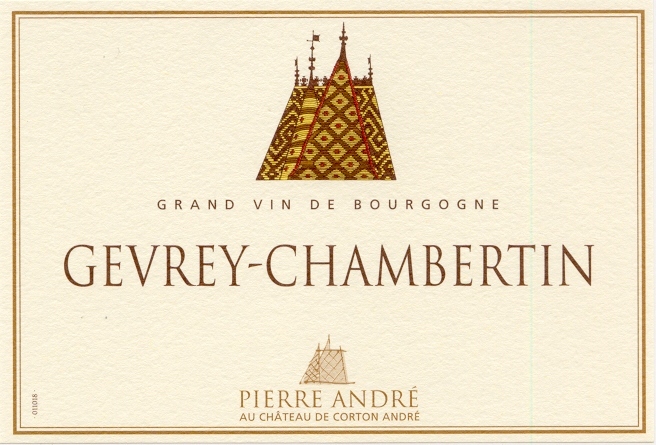 He maintained no private cellar, and his wine was almost always chambertin, heavily watered. 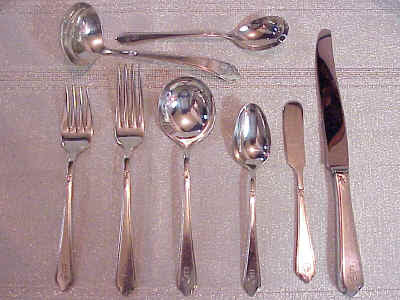 The service on which the meal was served was entirely of silver, but of a simple and unostentatious design. Gold vermeil was use only on Sundays and state occasions. Napoleon nearly always ate his déjeuner alone, although a stream of visitors came and went. 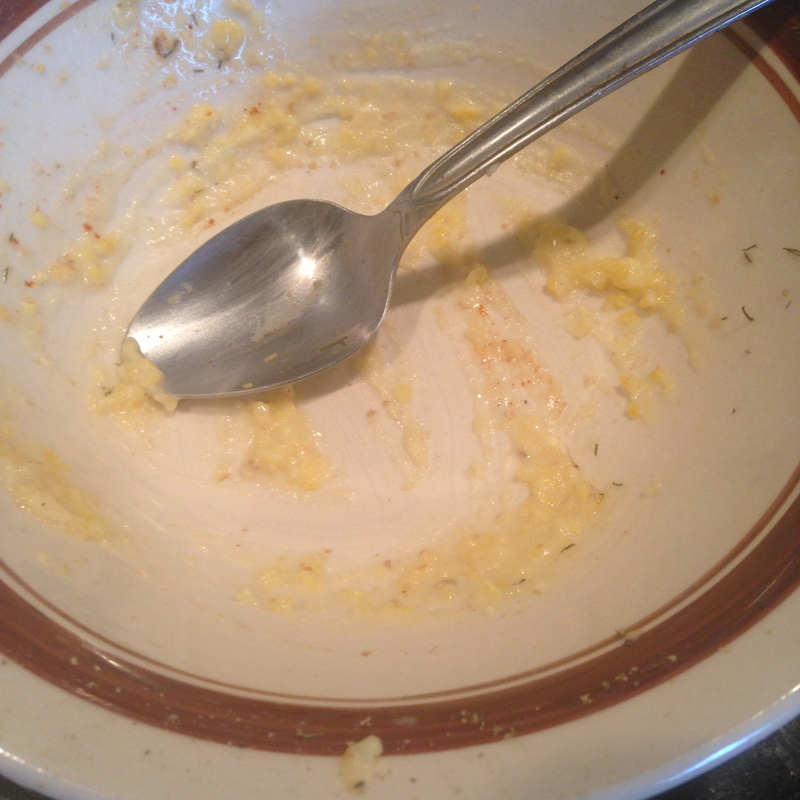 He ate hastily and rather messily, going swiftly from soup to main course to dessert and back again until he was satisfied, in the end leaving a substantial part of the meal untouched. In seven or eight minutes he was done, and ready to turn his attention to his visitors. 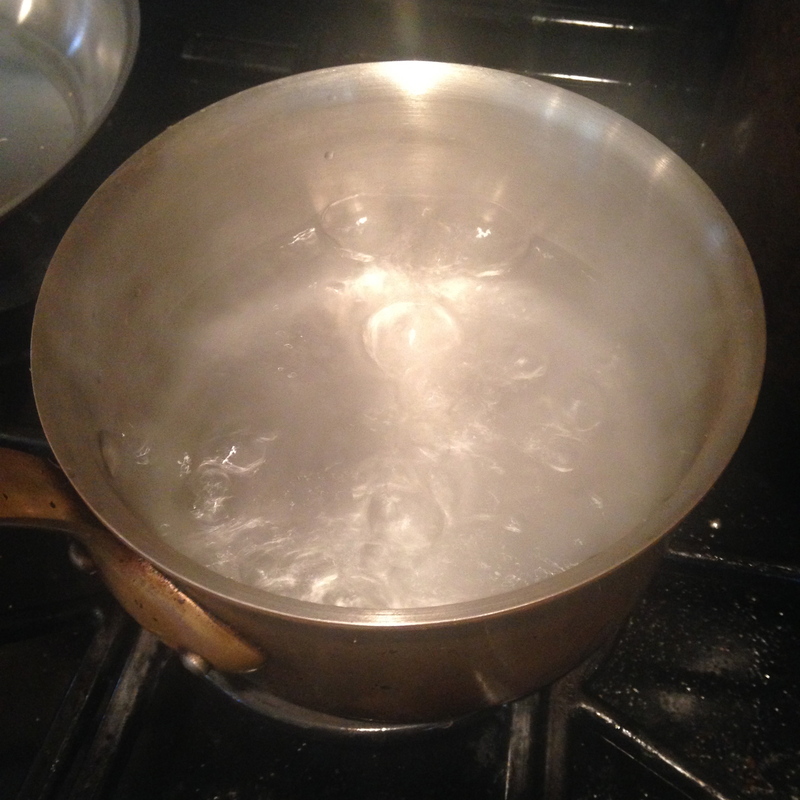 I pour four cups of water into a copper sauce pan and set to boil. 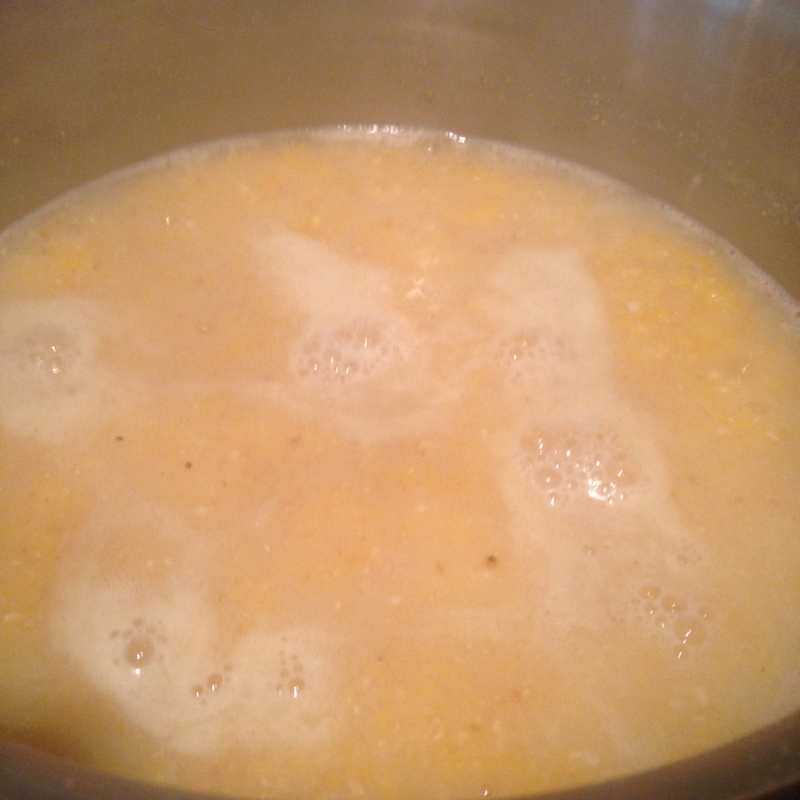 When the water rolls, I slowly pour in a cup of corn meal while whisking. When you have put in all the meal, begin to stir with a long-handled wooden spoon, stirring continuously and with thoroughness, bringing the mixture up from the bottom, and loosening it from the sides of the pot. Continue to stir for 40 to 45 minutes. 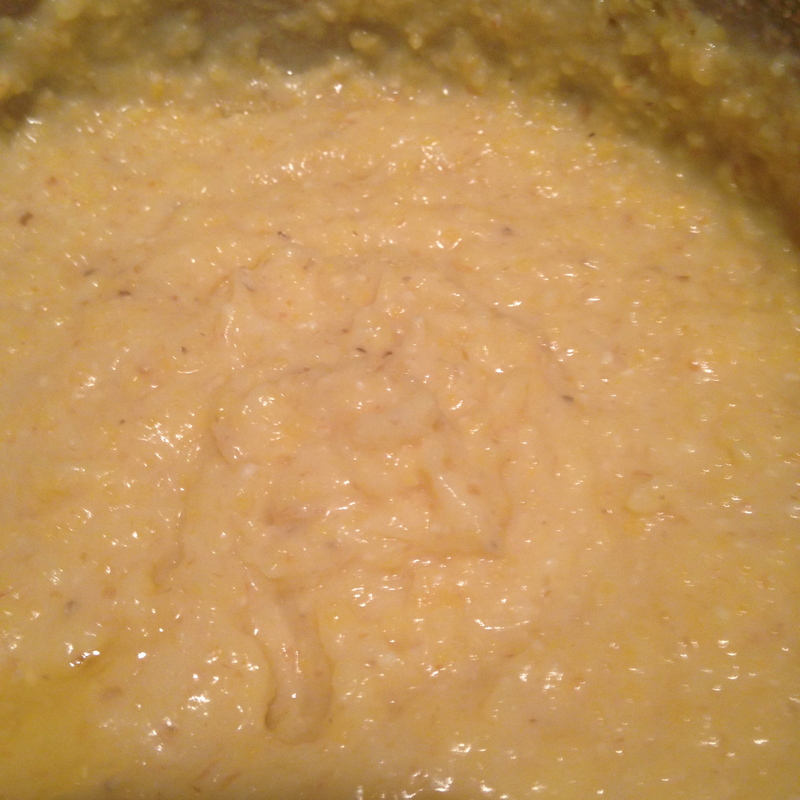 The cornmeal becomes polenta when it forms a mass that pulls cleanly away from the side of the pot. 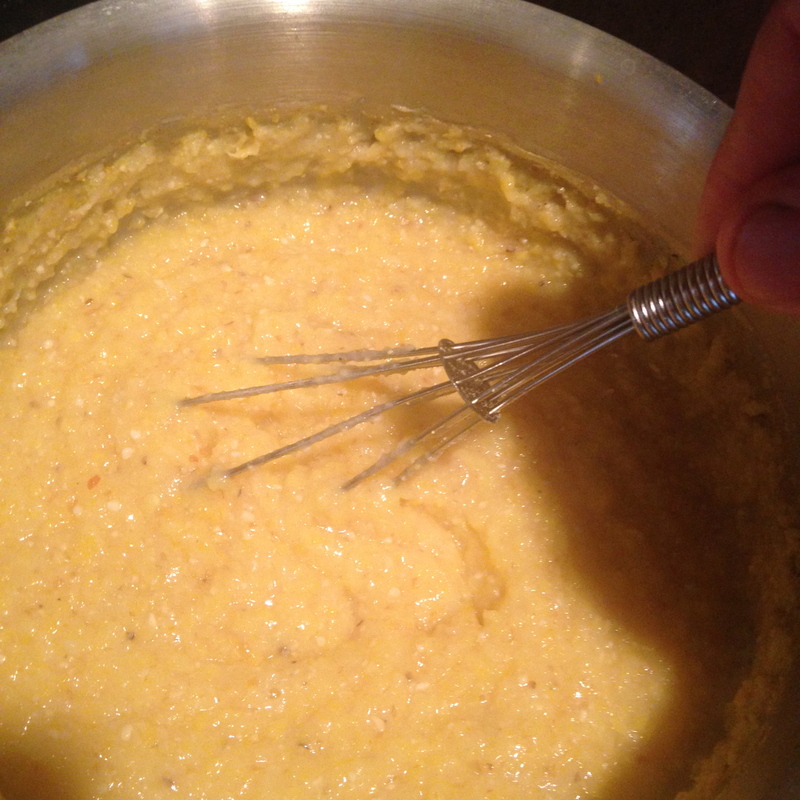 Here is David Tanis in the New York Times writing about making polenta. Despite what fanatics will advise, I stir it only every 10 minutes or so, or when I think of it, as opposed to constantly. The main thing is to check the moisture and to make sure it’s cooking evenly; if the polenta gets too thick, it won’t cook properly. 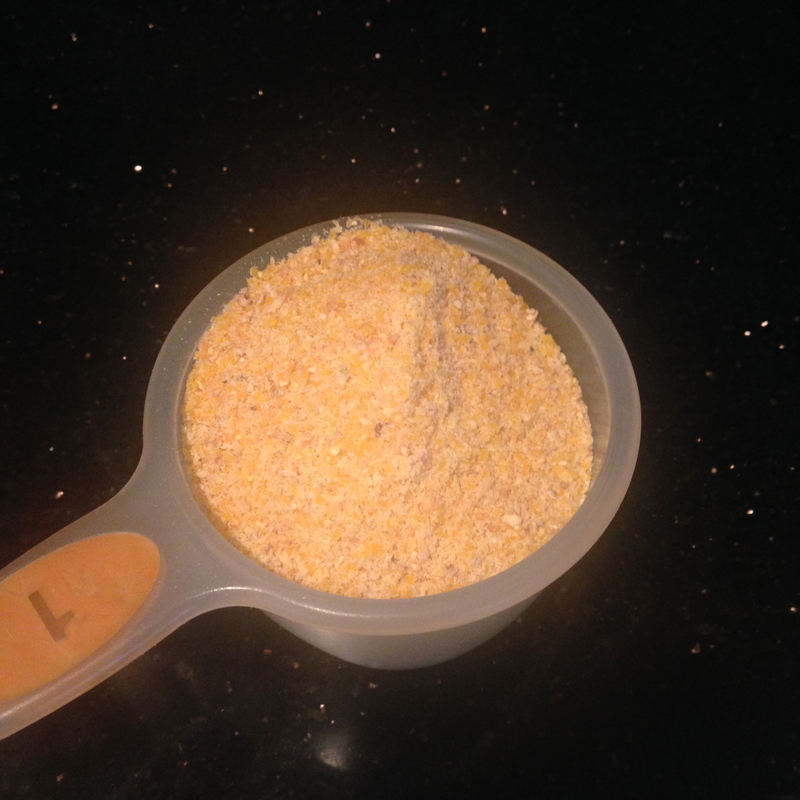 Depending upon the cornmeal you use, you may need to stir in a little more water from time to time. 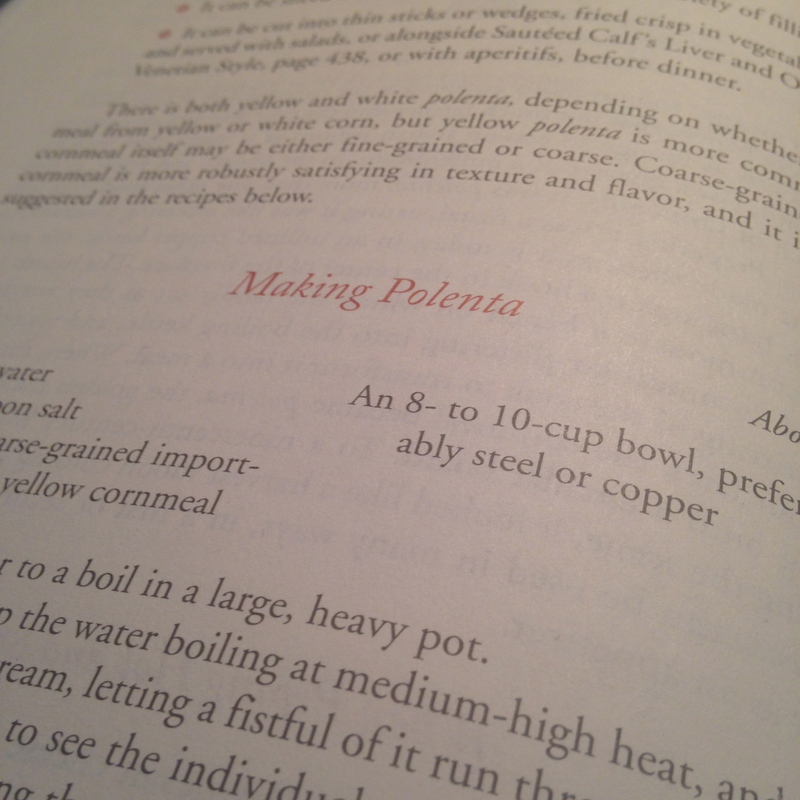 The general proportions of water to cornmeal are 5 to 1 for soft polenta (best in a bowl topped with butter and Parmesan) and 4 to 1 for firm (best for grilling, baking or frying). I am not about to label Marcella Hazan a fanatic, but I take a page from Tanis and stir as “I think of it,” though as I stand at the stove my thinking also includes The Reveries of the Solitary Walker by Jean-Jacques Rousseau. Whoever praises or criticizes contrary to the truth lies whenever a real person is involved. If it involves an imaginary being, he can say whatever he wants about it without lying, unless he judges the morality of the facts he invents and judges falsely; for if he does not then lie about the fact, he lies against moral truth–a hundred times more respectable than that of facts. I immediately thought of Dante’s circumlocutions in the Inferno when he introduces Geryon in Canto 16. We create fictions to find truth lying below the surface; we create lies in order to reveal what is real, what is absolute. Dante knows full well he is mired in this seeming contradiction, and he does what any great artist chooses, he digs deeper into the paradox. 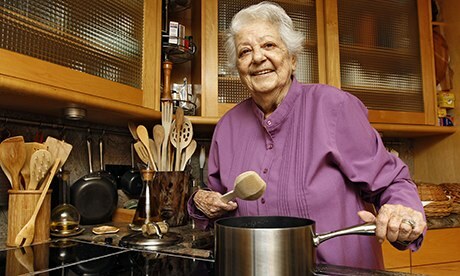 I’m pulled out of my revery by the bubbling voice of the polenta. Whisk, whisk, whisk. But why have my thoughts wandered to this infamous walker? Blame it on W.G. 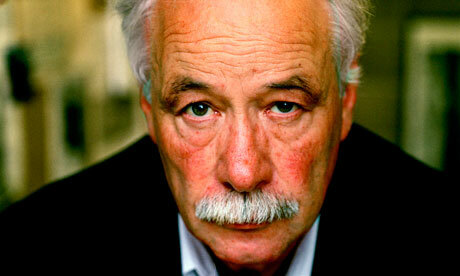 Sebald. Ever since I read Austerlitz, I’ve been hooked. The walks he takes through London, the English countryside, Antwerp and throughout Germany and Switzerland fascinated me as at the same time he walked through history, from Napoleon to the Holocaust, from the colonization of the Congo by Belgium to the writings of Thomas Browne. 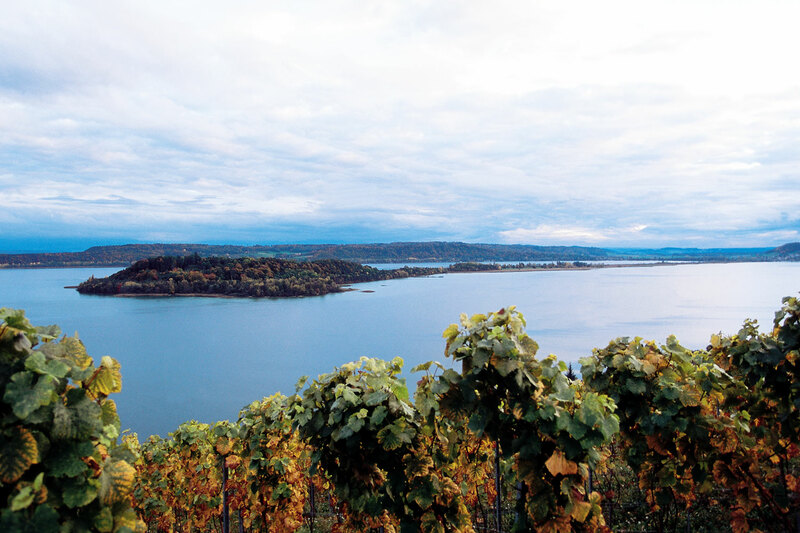 He’s one of the great wanderers in prose, a tradition that includes Michel de Montaigne and, of course, Rousseau who he writes about in A Place in the Country. 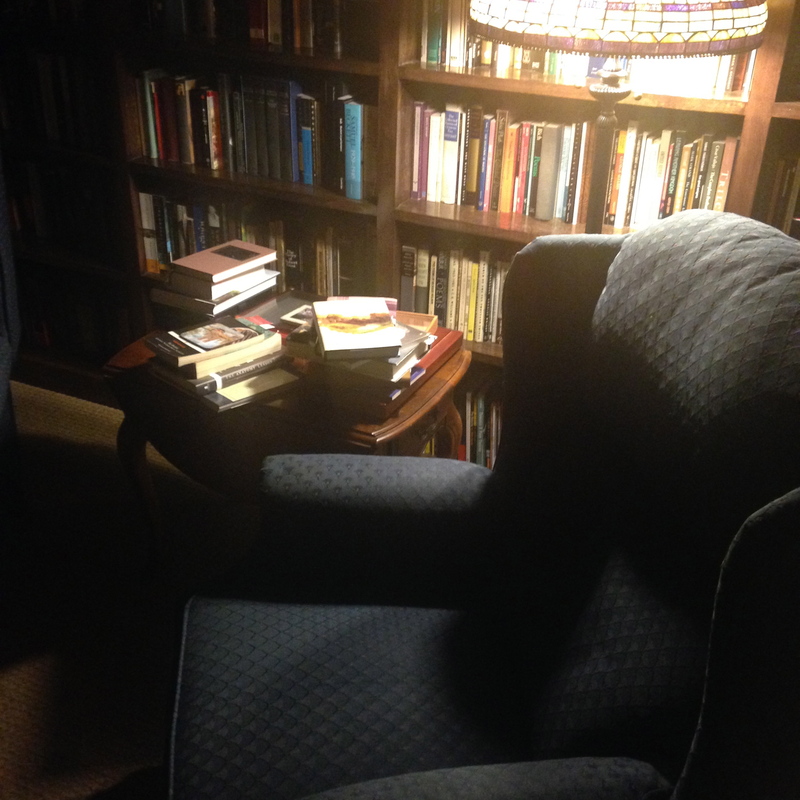 Sitting in my library one recent evening, after everyone was in bed, I started to read his chapter on Rousseau’s stay on the island of Saint-Pierre set in the middle of Lac de Bienne. 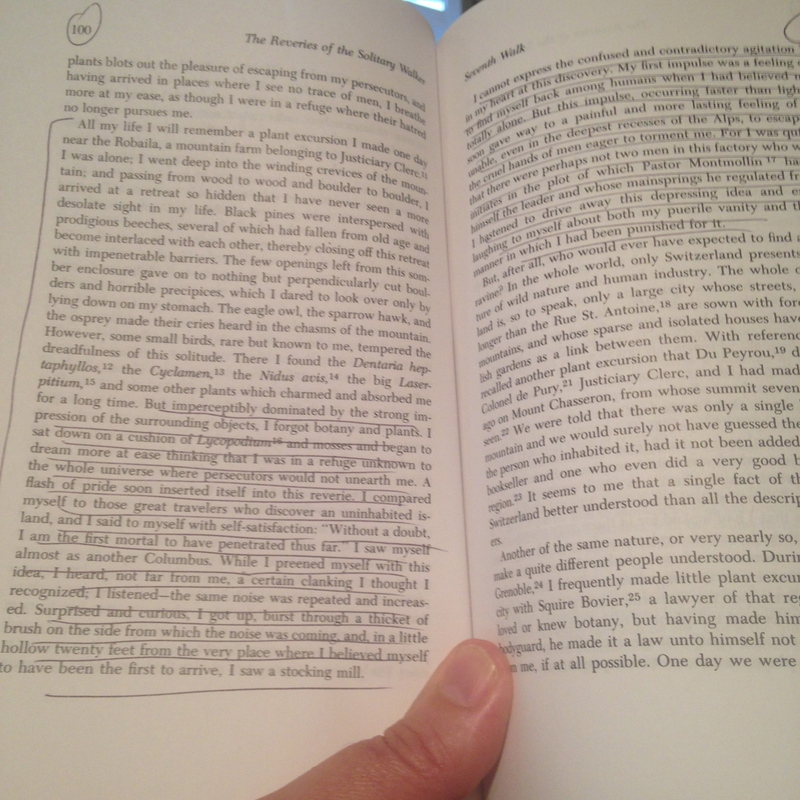 Sebald visits the island, stays in the room once occupied by Rousseau, and muses on Jean-Jacque’s brief interlude studying plants, letting the wind push his boat where it may as he wanders through reveries. Sebald as well makes his own foray through the island, through the past, and muses on this solitary figure’s influence on his own work. 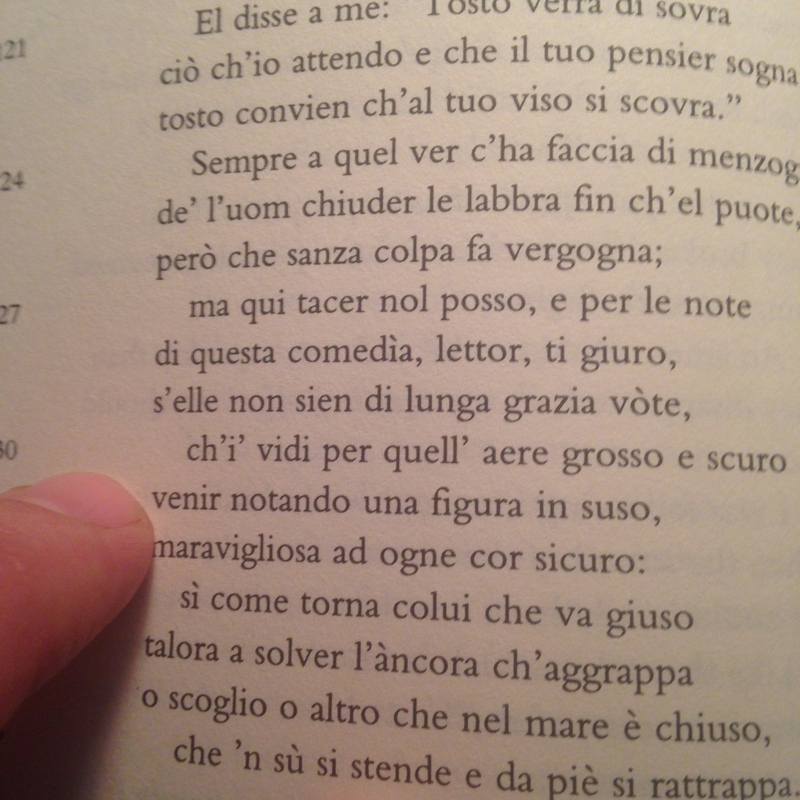 So, of course, I returned to Rousseau and his stay on the island which he narrates in the Fifth Walk. My morning exercise and the good temper which is inseparable from it made the pause for lunch very enjoyable. But when it took too long and good weather beckoned, I could not wait so long. While they were still at the table, I would slip away and go throw myself alone into a boat that I rowed to the middle of the lake when the water was calm; and there, stretching myself out full-length in the boat, my eyes turned to heaven, I let myself slowly drift back and forth with the water, sometimes for several hours, plunged in a thousand confused, but delightful, reveries which, even without having any well-determined or constant object, were in my opinion a hundred times preferable to the sweetest things I found in what are called the pleasures of life. Whisk, whisk, whisk. 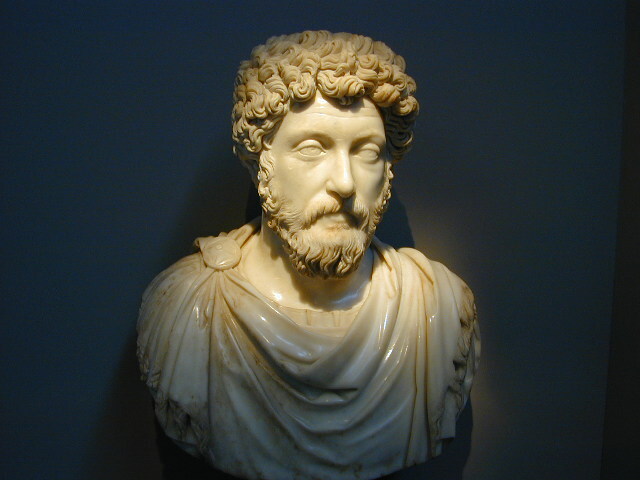 There is something of the ancient stoic Marcus Aurelius in how Rousseau interacts with nature. To contemplate the world around him is to find freedom from self-love, from the ego and all its tribulations on how it is treated, it is to find the care of the self at the heart of stoicism, and at the heart of Montaigne and Sebald. Forty-five minutes have passed and now I add butter, let the polenta cool, then top it with salt, pepper, dill and paprika. It’s time now to sit down with Rousseau and eat my polenta. Look at Napoleon Contemplating A Portrait of the King of Rome Before his Departure for Elba by Gustave Bettinger painted in 1814, which is my featured image at the top of this post. I wonder if in Napoléon’s final days on Elba he ordered polenta, just once, and found solace in the contemplation of Corsica. Bon Appétit. Previous Previous post: Reconstructing Thanksgiving with a Kir Normand.